To all my friends who donated money or time to my trip to Haiti...thank you. From the bottom of my heart, thank you. 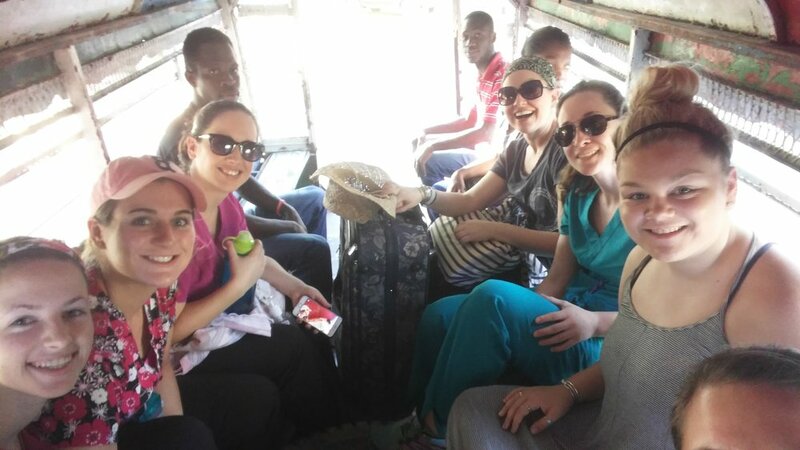 Nursing in global health is a steep and fast learning curve. The last few weeks in Haiti were tiring but deeply soul-fulfilling. I have shed tears with some of my patients over situations that no person should endure. I have also smiled so hard it hurts from the stories of hope and resilience. One of the truths of global medicine is that your knowledge as a nurse increases ten-fold. Your boundaries and skill set get pushed out of sheer necessity. When it comes to helping a patient you find yourself asking the question, "If not me, then who?" There are very few places to refer your patients, and modalities like mental health or cancer care practically don't exist. You text friends back home who are experts in their field for help. You do your best to practice, "Do no harm." I am now proficient at protocols for severe second degree burns, can easily recognize various skin infections, and have become a literal expert on diarrhea and GI issues. Most nights involved late nights reading medical research and posts from the CDC and WHO. My patient education speeches on hydration, vaginal and sexual health have been repeated so many times that the amazing interpreters I worked with could launch into them without me. I was mentored by a Haitian doctor, who offered useful insights about how medicine is practiced in Haiti. I am grateful for his willingness to stay open to my endless litany of questions, and his respect when there were differences of opinion. I am leaving Haiti dusty, heart sore, and inspired. I said to my friend and nurse Marceline Derelus last night, "this isn't goodbye,"...and then at the same time in unison we said, "it's just 'see you later.' "